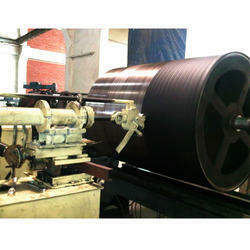 The Rubber Lining Rollers is offered by us to customers in various sizes. 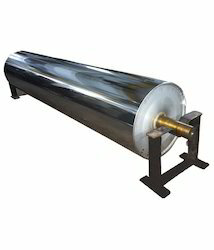 This Chrome Roller is extensively used in offset printing machines and work smoothly. Chrome Roller is manufactured by using quality material that we sourced from the reliable vendors of the market. Moreover, the offered products are highly demanded all across the country. Our domain expertise has enabled us to lead in the market by manufacturing a qualitative assortment of Hard Chrome Plated Roller. These rollers are fitted in most of the Steel Industries, Textile Industries, Paper Industries, Plywood Industries etc, owing to their corrosion and abrasion resistant nature. The Hard Chrome Plated Roller is also demanded to be used in piston rod material in hydraulic and pneumatic cylinders. These rollers require the excessive amount of strength following to their operation thus we manufacture them using a highly advanced methodology of surface removal, polishing, and hard chrome plating. The offered range can be availed in a variety of sizes and dimensions. We also have our Shot Blasting facility to provide Roughness Analysis (Ra) value to avoid slippage of sheets. Looking for Chrome Roller ?